Each weapon will feature a ten-tier progression system, ten levels per tier, with each tier unlocking a new Mastery Emblem. Means to display those emblems to other players will be coming in the future. “Gaining levels and tiers in Weapon Mastery will result in unlocking the rewards content the system has to offer. The farther you progress, the more there is to unlock.” A new reward will also be introduced, called Charms, that players can equip to the barrels of their guns after they have been unlocked. According to the post, there are 20 different Charms to earn at launch, with more to be added later on. In addition to Charms, players will also unlock Medals, earned from difficult feats such as killing multiple enemies in quick succession and downing enemies from extreme distances. Like Mastery Emblems, developers will be sharing how Medals fit into their plans after launch. 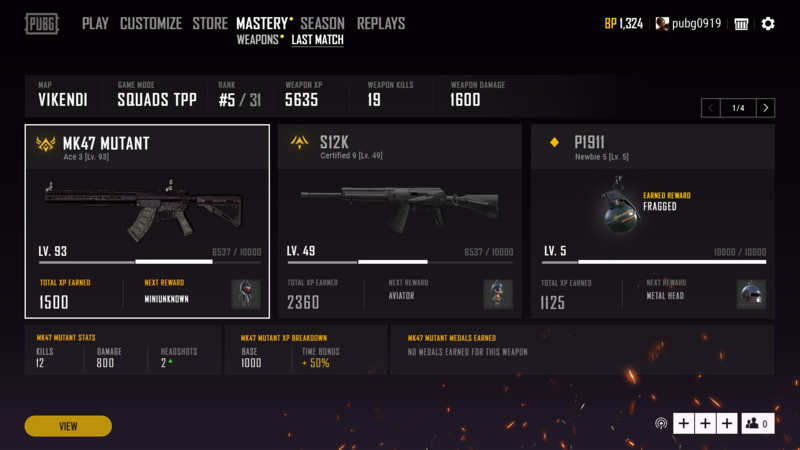 A brand new menu will launch with Weapon Mastery to easily track player progress. Here players will be able to track weapon stats, reward progression, and more. Players can more quickly climb the ranks for each gun by not only surviving for longer, but by making every bullet count, and racking up the Defeats. 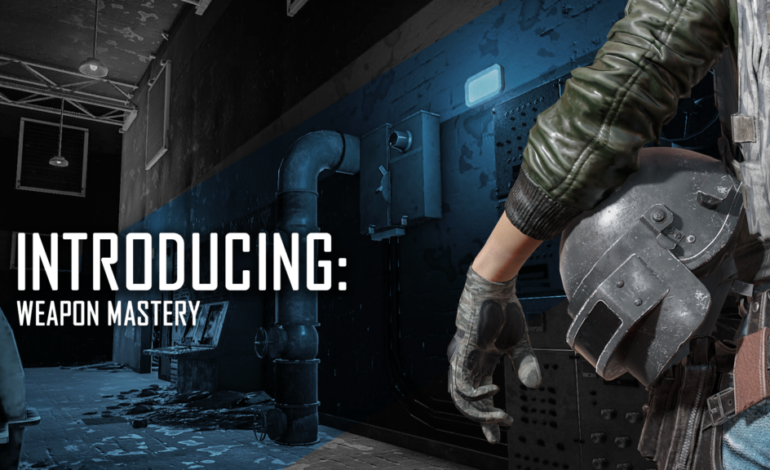 The post clearly defines Defeats as: “Killing any player in the solo playlists,” “Knocking down any enemy in duo or squad playlists,” and “Killing the last man standing on a team in duo or squad playlists.” Though they do note that killing an already downed player in duos and squads will not count as a Defeat. 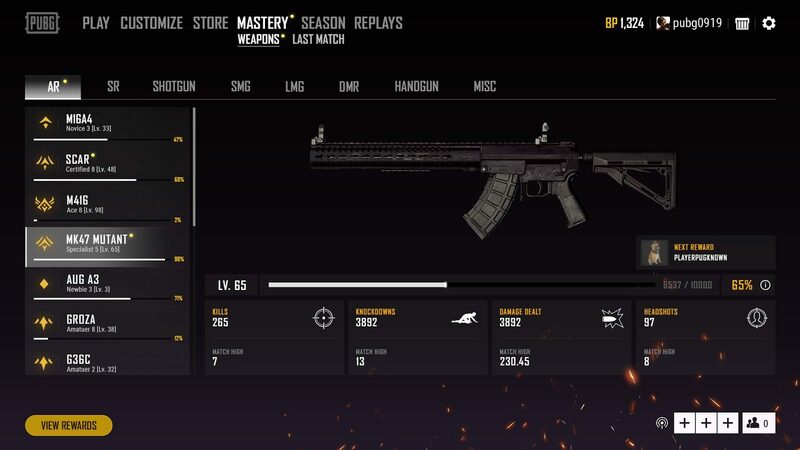 Weapon Mastery will be available to play on the test server April 17, with a full launch scheduled for PC a week later. Currently, the system is still in development for Xbox One and PS4 with no set launch date. Halfway through the test launch, part of the Weapon Mastery dev team will host a Reddit AMA to get feedback from the players. The AMA will take place on April 22 from 7 am to 10 am PDT, so keep an eye out for that link through PUBG social media.